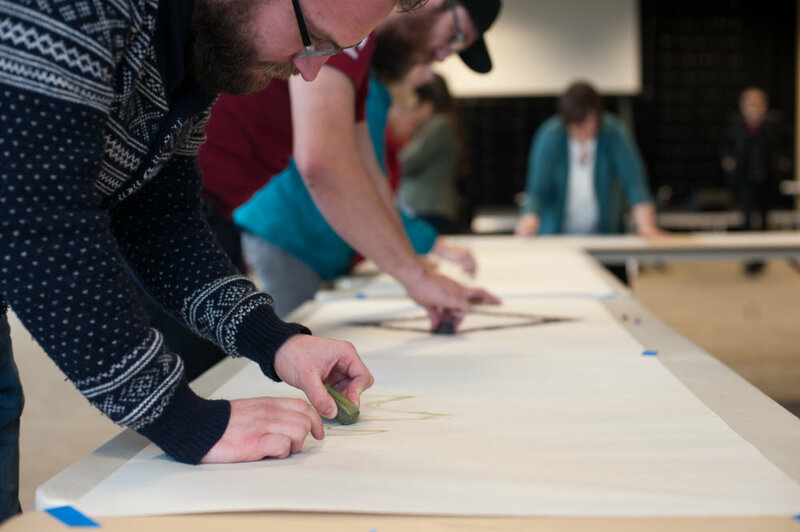 Founded in Cascadia - AKA the Pacific Northwest - our Residency now offers opportunities for artists and churches to participate in cohorts in other regions. Our core curriculum remains the same for each iteration of the Residency, but can be contextualized to meet the particular regional-cultural needs of your group. The Residency is open to all artistic mediums and Christian denominations. Read below about how your region can become involved in the Cascadia Residency. We continue to host Pacific Northwest-based cohorts of the Cascadia Residency. These cohorts run from September to May each year, and consist of 5-10 church/artist pairs. The experience involves quarterly day retreats based in the Seattle area, and a two week art-making residency in May at the Grunewald Guild in Leavenworth, WA. The cost for a church to participate in this cohort is $4500 and includes all curriculum, housing, food, and a $1500 stipend for the artist. Are you interested in hosting a Cascadia Residency cohort in your area? We will provide the curriculum which can be contextualized to your region, as well as consulting to help get you started. A local cohort works best with three or more local church communities (three artist-church pairs) and a facilitator church that can take ownership of the program’s administration. The cost for the curriculum and consulting to start a regional cohort is $1500 per church involved in the cohort. This includes unlimited access to curriculum, and our consultant’s travel and time to visit your region and assist your churches in getting the program off the ground. Retreat costs and artist compensation are the responsibility of the local congregations. Similar to the Local Cohort model, you may decide that you would like to host the Residency within your congregation, with multiple artists. We will provide the curriculum which can be contextualized to your region, as well as consulting to help get you started. The cost for the curriculum and consulting to start an individual church cohort is $3000. This includes unlimited access to curriculum, and our consultant’s travel and time to visit your church and assist your congregation in getting the program off the ground. Retreat costs and artist compensation are the responsibility of the local congregation.